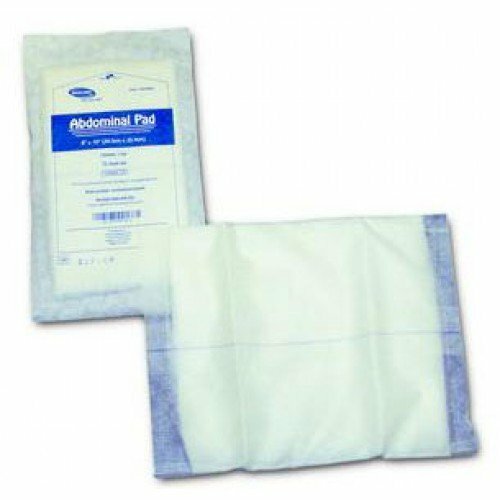 Abdominal Pad by Invacare is a three layer pad for wound care. 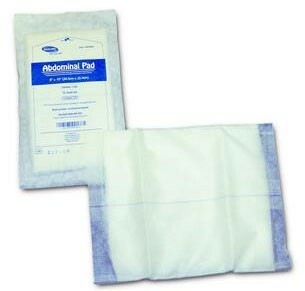 This abdominal pad is soft and has a non-woven outer layer, absorbent fluff filler and wet-proof moisture barrier. Invacare Abdominal Pad is similar to Tendersorb and Surgipad ABD. My husband needs a disposable pad for his hip wound which continually drains. He now uses white wash cloths and washes and reuses but a disposable pad would be more convenient. Is there a product for this? Great product for a great price. Does the job well. I will continue to purchase from you. Love this product and the price. Great for heavy wound drainage. Will keep ordering. I would like this product a little more if it was 9"x9". as it is it doesn't quite cover my draining wound enough and tends to fall off. The tape won't adhere to the fabric. These are priced affordably, work well and delivery is prompt. very good value so much more economical than buying a couple boxes every couple weeks from CVS or Walgreens. I purchased these pads to help with my husbands wound drainage from leg surgery. I am quite pleased with them. The hospital just told us to dress his rather large wounds with some stacks of regular gauze and wrap the leg with a Kerlix gauze roll. His wound would drain right through all of that and it was an unpleasant sight to see. Now that we have been using these ABD pads my husband feels better about being out in public because you can barely see any leakage, if any on his dressing. The shipping and packaging was great and everything arrived as described. I love Vitality Medical and will continue to use them for my husband's medical supplies.